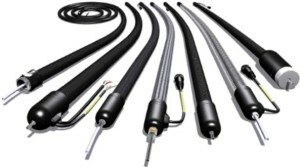 Thanks to its modular and adaptive design, the ASP heated gas sampling probe series is suited to a wide range of applications where continuous direct gas extraction is required with limited maintenance and related down-time. The probe body is heated up to a fix (or adjustable) temperature in order to prevent sample condensation or the loss of components of interest. A significant advantage of the ASP series is that the filter, inner stack sample tube, and top-filter are extractible without dismounting the probe allowing efficient and fast maintenance and routine inspection tasks. As standard, all ASP sampling probes offer backflush, calibrations, and alarm outputs features. A filter element, suitable for dust load up to 1 g/Nm3, available in various lengths, porosity, and materials is integrated in the heated body. The test gas injection port according to emissions standards enables calibration gas feeding via the filter element of the gas sample probe. 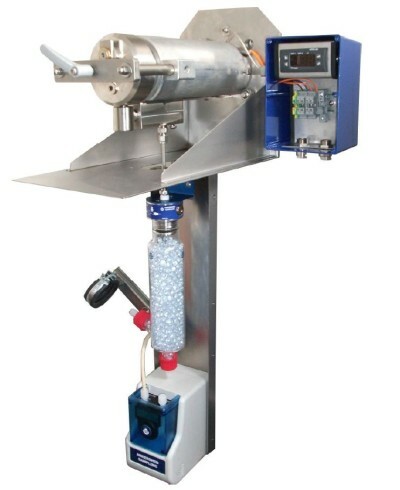 A large selection of options and accessories, such as the blowback function for higher dust load up to 10g/Nm3, or PTFE demister for wet scrubbers, are available on the ASP’s to both optimise the sampling performance, and ease the integration into an existing system or to match site specific requirements. The ASP100 is a cost effective version. It is auto regulated to a fixed temperature (180°C) perfectly suited to emissions and process gases monitoring applications. The ASP300 temperature controlled versions (user adjustable up to 320°C) is available in three different lengths and designed to provide reliability in applications with high acid gases concentrations, heavy dust load, and harsh installation environment. 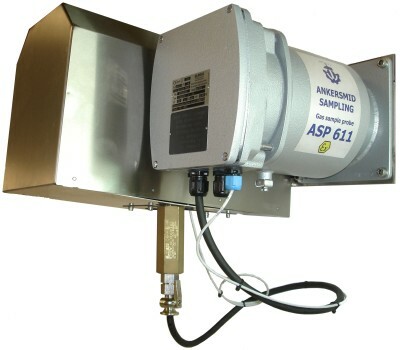 For installation in explosive areas, The ATEX certified ASP611 offers the same range of features as the ASP300 plus explosion rated site specific options. The ASP320 DeNOX is specifically engineered for SCR DeNOx gas treatment processes. Its concept includes continuous removal of sample condensate and high temperature filtration to prevent the loss of sample compounds. To use in combination with the ASP sampling probes, the AST Sampling tubes series 0xx/1xx/2xx are available in variable materials, lengths, heated or unheated, and with or without top-filter. 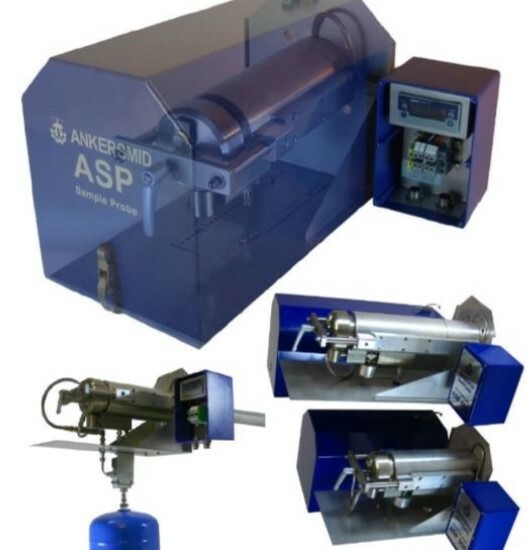 The ASP100 is a cost effective version and is auto regulated to a fixed temperature (180C) perfectly suited to standard Emissions and process gases monitoring applications. Test gas can be injected into the probe through a check valve directly to the sample outlet so that no calibration gas is lost to the stack. Cleaning of filter and the sample tube through a high-flow inlet ports so less maintenance is necessary in high dust load applications. An isolation valve with pneumatic control shuts off the sample outlet from the internal filter area in case of blow-back. The ASP300 temperature controlled versions (user adjustable up to 320°C) is available in three different lengths and is designed to provide reliability in applications with high acid gases concentration, heavy dust load, and harsh installation environment. The ASP300 provide the choice of different lengths of filter element for three levels of dust load. A 150mm filter suits for most of the applications with dust concentration up to 1g/m3. With the 180mm filter element, a larger filtering surface allows sampling gases containing up to 4g/Nm3 of Dust. For extreme conditions, the 500mm model filter enables reliable sampling gases with dust load up to 10 g/Nm3 as standard and 20 g/Nm3 with the backflush. 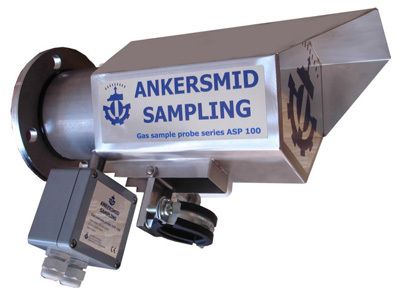 Test gas can be injected directly into the probe according to EN14181 (regulation for calibration of emission monitoring systems) that enables calibration gas feeding via the filter element of the gas sample probe. This inlet can be controlled by pneumatic or electric valves, and also in combination with a volume chamber for high pressure flow. For installation in explosive areas, The ATEX certified ASP611 offers the same range of features as the ASP300 plus Explosive rated site specific options. The probe temperature with Exd-temperature sensor type Pt100 is controlled by an ATEX-certified controller-limiter unit with temperature alarm. The probe is delivered with valid ATEX-certificates for all electrical components and available with various filter element lengths and materials. The ASP320 DeNOX is specifically engineered for continuous sampling of emissions or process gases at SCR DeNOx gas treatment processes where NH3 is added to the flue gas in order to reduce the NOX content. This new sampling technique has also proved to be suitable for processes with very high pollutant concentrations. In these applications, the measurement of NOX, SO2 and O2-concentrations are significantly affected by the presence of ammonium salts created when the sample temperature drops below 320°C in presence of high NH3. Its concept includes continuous removal of sample condensate and high temperature filtration to prevent the loss of sample compounds. The large active surface of the Ankersmid top-filter guarantees a long operating time. The Ankersmid top-filters series ATF are selected in accordance to site specific sampling conditions, i.e. the gas compounds, dust loading, grain sizes, water vapour saturation, temperature, pressure and gas velocity. The ATF filters are equipped with a welded thread connector for mounting onto the ASP gas sampling probe flange and can be adapted to third party devices. The AET extension tube series can be used to adjust the insertion of the inner stack sample tube and top-filter. In case of high velocity profile, a V shaped protection plate series AAS are used in order to protect the top-filters against abrasion. This electrically heated sample tube is available in 4 standard lengths: 0.5m, 1m, 1.5m and 2.0m (other lengths on request). As for all Ankersmid probes, the standard flange is a DN65 PN6. Adapter flanges for most common process connections can be provided if required. If needed, it is possible to affix a non-heating sample probe or pre-filter to the tip of the heated tube. As standard an integral thermocouple type J (Fe-CuNi) installed in combination with the digital controller ensures reliable temperature regulation with user programmable set point and alarm. Available as an option, a 2-way Modbus/ RS485 communication that combines signals from all installed Ankersmid controllers enables digital communication between a network of devices and site supervision. 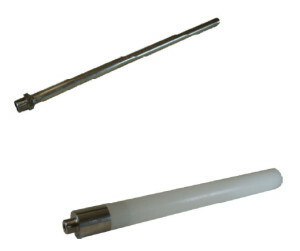 The AST sample tubes are used in combination with the ASP gas sampling probes probes in order to sample the gas in the optimal section of the gas-stream. 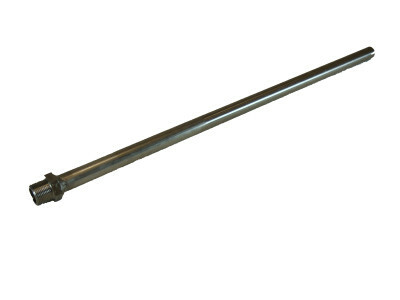 For a typical installation of the probe-tip, a position in the middle third of the gas stream is advised. For dust concentrations higher than 2g/m³, a top-filter can be fitted in combination with an extension tube. AST sample tubes are selected according to specific applications. Influencing process parameters are: gas composition, water vapour saturation, dust loading, process temperature, pressure and the gas velocity. While the standard length is typically 1m other lengths are available on request. Sample tubes/extension tubes with volume displacers are available for applications with low sample gas flow to decrease the retention time. 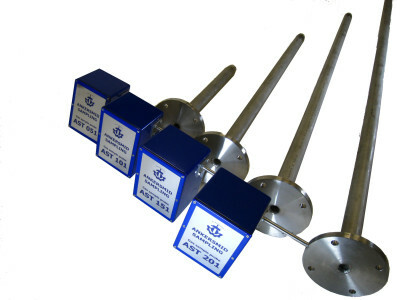 For gas sampling downstream of a wet scrubber with a high water content, the demister tube ADT allows liquid drop collection at the sampling point. The AST universal connection thread enables an easy mounting onto most of the gas sampling probes types. Our adaptative product range is versatile and suits a large variety of applications. As a system integration company AquaGas offers a large range of engineering services including in product design, project management and consulting. Sample pressure max. 0.5-6bars abs. 0.5-6bars abs. 0.5-6bars abs.